Have you heard of Denarius? Ancient standard Roman silver coin which was first minted during Punic war period at 211 BC. The term Denarius was derived from Latin word dēnī which means 10. This word slowly evolved to denaro, then denar, dinheiro and now dinar which is currently the principal currency unit in several countries. Well, here we are not going to talk about the history of ancient Denarius coin which you can find here actually. But rather a crypto currency that derived its name from ancient Roman coin and its tech from Satoshi’s Bitcoin core. The coin is called Denarius (DNR). Here we’ll see what is Denarius, its features, technical specifications and if it is really worth it. Also in this beginners guide we’ll show you how to setup Denarius wallet and some tips to staking and syncing. What is Denarius (DNR) ? 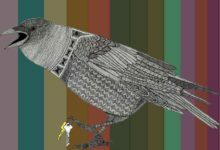 Denarius (DNR) is a hybrid PoW / PoS cryptocurrency based off the Bitcoin core by Satoshi Nakamoto. It was launched and announced on June 2017 by a single person operating and maintaining the whole project. 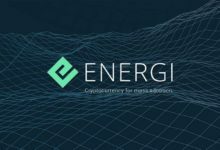 Later on as many started to show interest and involvement towards the project the team has grown and started to work on implementing various aspects. Currently Denarius is priced at 16254 Satoshi a coin with a total market cap of $3,958,567 USD. Its max supply is 10,000,000 DNR and its current circulating supply is around 3 Million DNR. 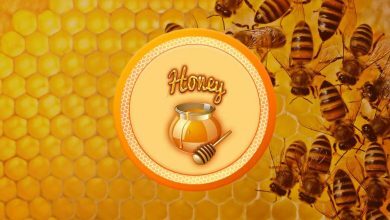 Out of which 1 Million (10% of the total supply) was premined for project development, bounties and maintenance. Aside from its low supply Denarius is known for faster block times. Transaction gets confirmed in less than 10 seconds and is capable of handling 147 transactions per second. Also Denarius was the coin to introduce cryptographic proof of work hashing algorithm called Tribus. 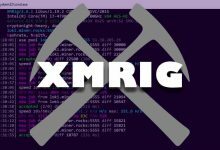 This algorithm is a combination of 3 different hashing algorithm which is known to be ASIC resistant and we’ll discuss more about this in Denarius mining guide. Denarius is capped at 10 Million DNR and currently it is at hybrid PoW / PoS phase which ends in 3 years from launch date . That is Proof of Work phase will end on June 2020 after which it will transition to Proof of Stake. Alright! Since we covered mostly about the coin; let’s get in to the beginners guide that is how to setup Denarius wallet and start staking. 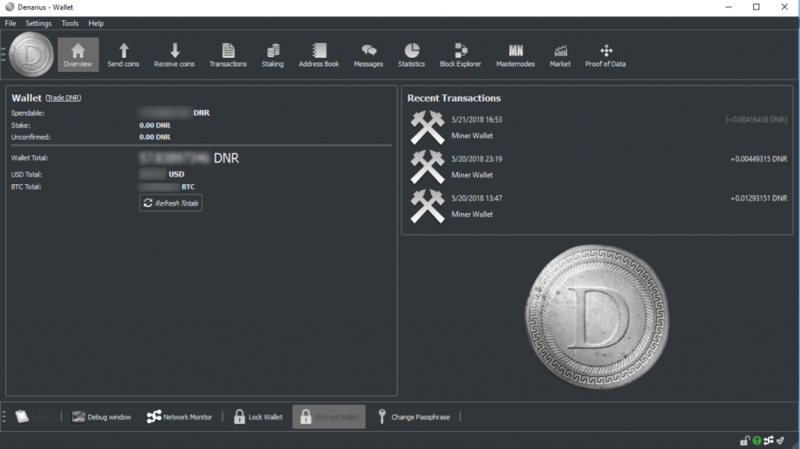 In order to store your DNR Denarius coins that you earned either by mining or by trading you’ll need a wallet first. More supported wallets = More adoption and so Denarius has some wide options when it comes to wallet. Currently Denarius offers both paper wallet and official core wallet. Also Denarius is available in Coinomi Android wallet and Komodo Agama which is a multi-coin SPV (Simplified Payment Verification) that is similar to Electrum wallet. Unlike core wallet it doesn’t require you to download the whole blockchain. Also while those are easy to setup you won’t have full control and you can’t stake particularly. 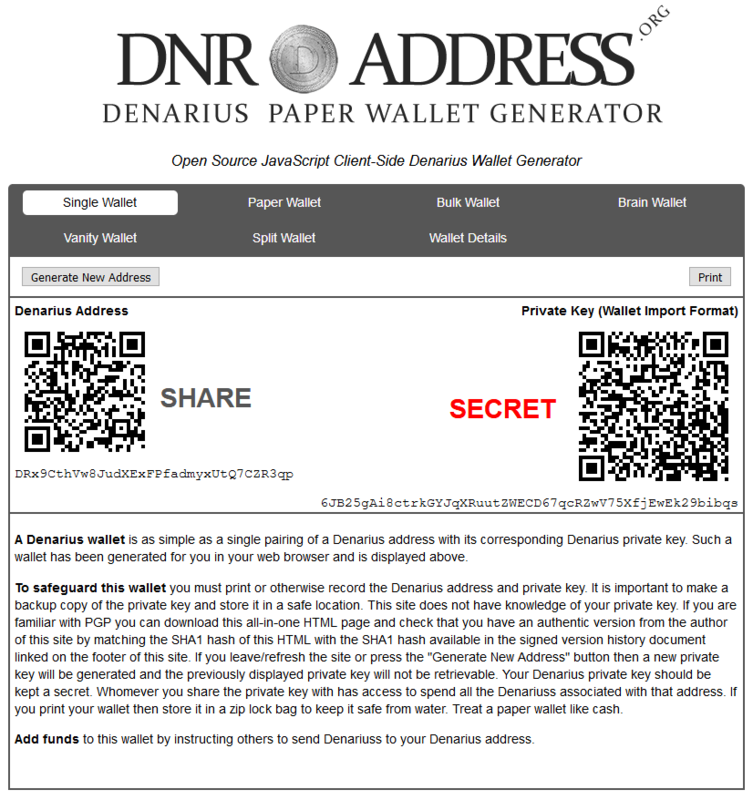 So in this guide we’ll only cover about Denarius core wallet and Denarius paper wallet. 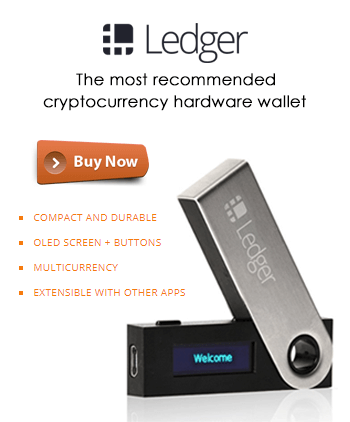 In terms of look, feel and functionality all coin wallets are similar to Bitcoin core wallet. So why we need a separate wallet guide for Denarius? Aside from the features that’s available on other QT wallets; Denarius wallet has some extra highlights. 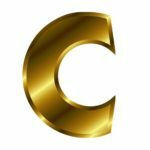 It features market information, block explorer, coin statistics, proof of data and much more. Also people seem to have issues with syncing and staking. Moreover not so tech savvy people are always looking for guides on particular coin. So we believe that guides like this will help someone in crypto space. This is an open source project so all wallet links are available for download at GitHub page. Denarius core wallet is available for Windows, Mac, Cent OS and Ubuntu. Download the latest and the appropriate version to your local machine and unzip it. 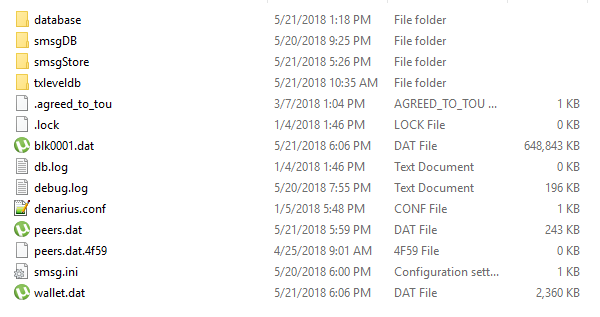 Now open Denarius.exe and it will ask you for the location to store core data files. Choose a directory where you have enough space. If you don’t choose this then by default it puts your wallet files at C:\Users\%USERNAME%\AppData\Roaming. 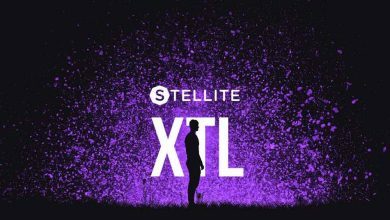 If you’ve installed already in this location then you can make use of this guide to move the blockchain files. The first thing that you notice is a nice looking interface with most of its features available in home screen itself. Following are the features that you can see in Denarius wallet. 4. Transactions – It shows all types of transactions that your wallet has handled so far such as send to, received with and mined. 5. 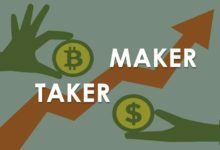 Staking – This section is used to estimate your staking rewards and probability. You can check whether if the transaction is too young or is mature or has reached the maximum probability. 6. Address Book – Here you can add and label your exchange DNR address for easy future transactions. 7. Messages – Now this is one new feature which you don’t find in most wallets. 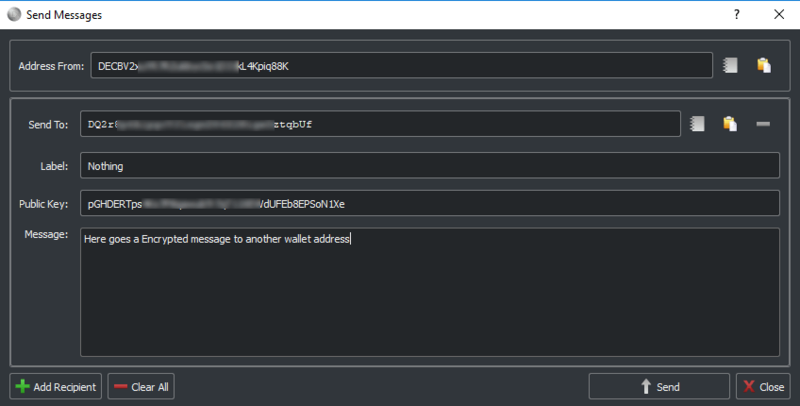 You can receive or send encrypted messages to any wallet address. 8. Statistics – Shows the current Denarius blockchain statistics such as block height, block reward, difficulty etc. 9. Block explorer – It is available in most wallets and is used to find specific block information. 10. Masternodes – Shows the network masternodes count and your masternode statistics. 11. 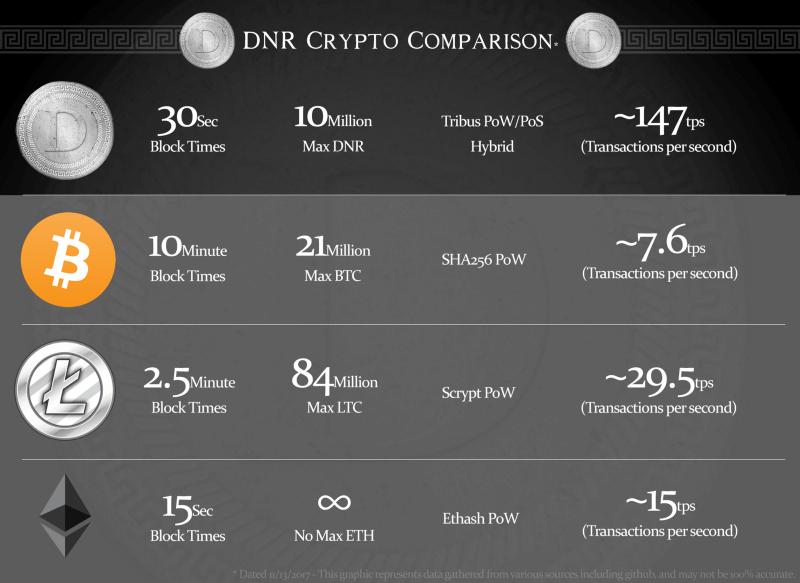 Market – This shows the current Denarius market information such as DNR market cap, DNR/BTC price, DNR/USD price and BTC/USD price. 12. Proof of Data – Now this is currently a Beta feature Easter Egg and will be updated soon. 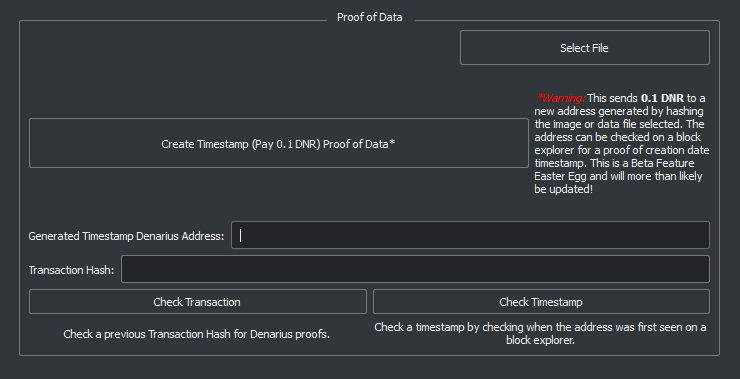 This is used to time stamp images/data on the Denarius blockchain. Hey, I know Proof of Work and Proof of Stake but what is Proof of Data? It is basically Proof of Ownership or Proof of Timestamp which is verifiable on the chain. In Denarius wallet this is a Beta feature and it requires 0.1 DNR to use this. Also this element is not so significant. While you were glancing at your wallet we hope the blockchain have synchronized completely. If so then do follow the safety tip and if not then see how to make Denarius wallet to sync faster. 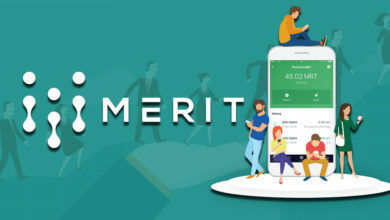 The very first and most important thing that you must carry out before using a wallet is wallet backup and wallet encryption. Under settings you’ll find both wallet backup and encrypt option. First encrypt your wallet and make sure to remember your password. Next take a copy of wallet.dat and store it someplace safe. Remember to backup your wallet.dat file always and it applies to all crypto currency wallets that you use. In case in future if something wrong happens then this should come in handy. People repeatedly reporting stating that my wallet is not syncing and I’m not seeing balance in my wallet or my wallet is stuck and such things. Not just with Denarius wallet but this almost happens with any crypto currency wallet and it can be easily fixed. If your wallet is not syncing or connecting to its network then make sure you have added nodes. Open your Denarius wallet configuration file and add the following nodes. This should now connect to the network and start synchronizing but it won’t be fast. To make your Denarius wallet to sync faster you can download the chain data directly and put it in your Denarius wallet data directory. You can find the Denarius chaindata here (https://gitlab.com/denarius/chaindata/) which gets updated often. Download chaindata.zip file which is around a GB, unzip it put it in your wallet core directory. Since the team behind Denarius is adding more and more features they keep updating the wallet and network. 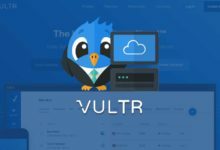 So look at GitHub page for new wallet releases and make sure you are not using old version which too could be a reason for wallet not syncing properly. Hope your wallet is now synchronized and ready to use. If you are looking to generate a quick DNR address then head to https://dnraddress.org/ and move your mouse around or type some random characters. Once done it will produce Denarius public address and Private key (wallet import format). Give it some time and your paper wallet will be imported to Denarius core wallet. You can use scan for all transactions to view all transactions associated with the paper wallet. Exchange: Where to buy Denarius? 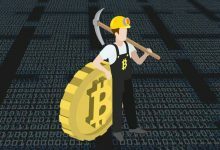 Since you have your wallet ready you can go ahead and start mining or buy DNR coins directly from exchanges. Denarius is an year old coin and it has already gained its exposure among the cryptocurrency community. 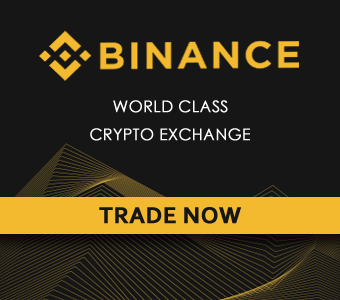 Currently Denarius has been listed on more than 10 exchanges and is available in following trading pairs. DNR / BTC, DNR / LTC, DNR / ETH, DNR / BCH and even DNR / USD. 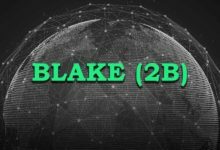 You can find more other exchange lists mentioned on Bitcoin Talk announcement page. 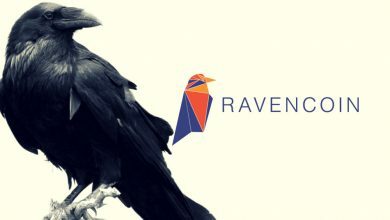 We thought of adding more information like Denarius staking return reports and other insights in this same post. But since this got bigger we’ll make a separate guide similar to Solaris staking guide. Basically the procedure to staking is very simple. Once your wallet is completely synchronized open Denarius.conf file and input the following. Now save the file and re open your wallet. If it is encrypted then unlock wallet for staking and then leave it for a while. You’ll see green arrow at the bottom right corner of your wallet which means your wallet has started staking. Remember that minimum stake age for Denarius is 8 Hours and don’t expect too much as it is not yet completely moved to PoS phase. When Denarius came in to picture the concept of hybrid consensus was new; even though it was not 1st of its kind. But now there are so many crypto currencies with similar idea and strong community. With such heavy competition and having premined a large amount of coins do you think Denarius will thrive in the near future. Let’s wait and see. Also remember that this is just a tutorial on cryptocurrency wallet so please do your own research before investing or mining. While this is a wallet guide we couldn’t cover specifically about setting up masternodes or how Denarius Atomic swapping works. To learn how to setup Denarius Masternodes you can make use of this guide here in denariustalk.org. Also soon from us you can expect a beginners guide on how to Atomic Swap coins on the BarterDEX network (Decentralized Exchange). But as of now you can seek community help on this which is keen and active. If you like this guide then please do share it on Twitter and if you have any questions relating to Denarius wallet then please feel free to comment.